It’s impossible to eat just one. You can almost chisel your biceps while practicing the hand-to-mouth technique. I am a big fan of spiced nuts. Sweet and crunchy, they’re the perfect accompaniment to those ample holiday cocktails. Already delicious naked, it’s only an improvement to dress nuts up in sugar and coat them with seasonal spice. When I lived in Santiago, Chile, I was a slave to the roasted almond carts. Their sweet vanilla scent would dictate my path throughout the city. Fresh from the roasting pans and tepidly warm, they were addicting. As the Christmas spirit takes me under its wing, I’ve found comfort in the tastes of home. Around the holiday season, spiced nuts seem to be one of those things. Like on the streets of Santiago, the aroma takes you prisoner and swaddles you in its warm blanket of spice. Rounded out in flavor by the addition of just a bit of heat, these nuts are the perfect snack if you can keep them around more than an hour. Whisk together egg white and water in a large bowl until foamy. Toss with nuts to coat. Add sugar and spice to mixture, then toss to coat evenly. Heat a dry pan on the stove over medium heat. In small batches, roast the nuts stirring frequently. Adjust heat if needed. You’ll want a kitchen fan as it will get a bit smokey. When the nuts take on a deep brown caramelized color, they’re finished, about 3-4 minutes per batch. About the time of year when carols strike up in endless succession, peppermint and cinnamon emerge from their warm-weather hibernation. Lattes abound in seasonal flavors and pumpkin is suddenly the guest of honor at dinner. In the spirit of things, last Saturday I prepared my contributions to our Thanksgiving extravaganza. After last year, my chestnut stuffing and pumpkin dip were requested for a return appearance. The stuffing recipe was covered in one of my first posts (“yay” for one year of blogging), and the pumpkin dip also received a nod. In retrospect, however, I think the dip deserves another moment of glory. The recipe was lifted from another blog, turned on to me by a friend, Haute Apple Pie. My friend brought the dip along for a holiday party and immediately it entered my repertoire of go-tos. In the States, this was complicated by the fact that the dip is best served with sliced apples and a particular Swedish cookie, Anna’s Original Ginger Thins. Locating the Ginger Thins was a bit of a challenge, but you could always count on your local Ikea. Which brings me to the next challenge. Locating just about anything in Ikea can bear semblance to assisting Indiana Jones in finding the Lost Ark. 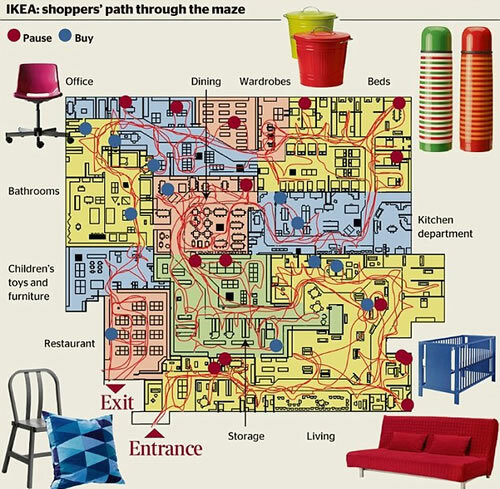 You have two options: submit to Ikea’s intricately woven maze of ergonomic chairs and locate the cookies in approximately 3.25 hours, or shave off time by gambling with a case of vertigo and take on Ikea in reverse. If you choose the latter, just remember, when you inevitably lose sight of up from down, walk away from the smell of meatballs. By some coincidence, Ginger Thins are available in all Korean Emarts. And in three flavors, no less! We must take this as a sign that we are to consume as much pumpkin dip as humanly possible this holiday season. Great as an appetizer or dessert, it’s always well received. 1 tbsp pumpkin pie spice, or any available combination of ginger, nutmeg, cinnamon, allspice and cloves. Combine all ingredients in a bowl, then serve with Ginger Thins and sliced apples.